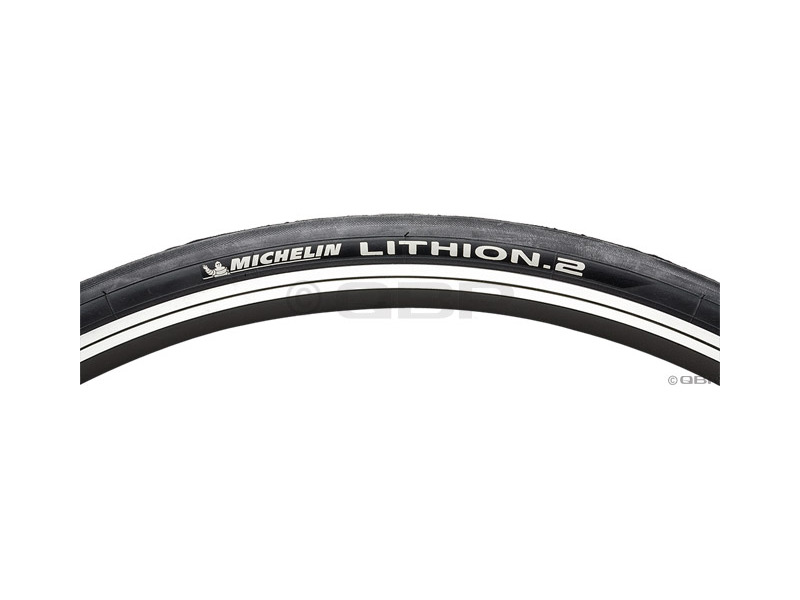 Michelin Lithion 2 Reinforced Road Tire. Just like the original, it looks ? and performs ? a lot like the flagship Pro3 Race? 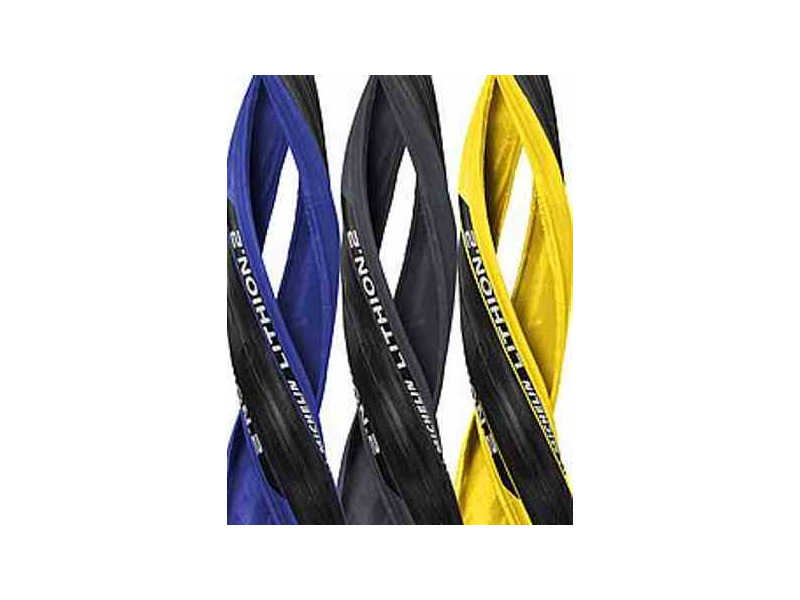 professional racing tire, but at a fraction of the price. I've been using these tires for 4 or 5 years, and love them! They are solid, all purpose, all season tires. I usually get 1.5 - 2 years out of a pair. They are lightweight, roll nice, and are durable. I also enjoy that they are available in a few different colours. I like to change up the colour each time a buy a pair. Also, I have been able to purchase them on sale every time I search for them, and typically pay about $20 CDN each. 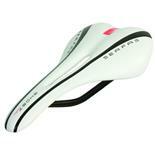 I have only purchased them from various on-line suppliers in the UK, who seem to have the best prices. Split between sidewall and tread, tire bubbled up on first ride. As someone else mentioned on these reviews, the sidewall/tread can separate and did on my front time on the first ride. Cheap tires and questionable customer service. I liked the ride, will go back to continentals. Not many. 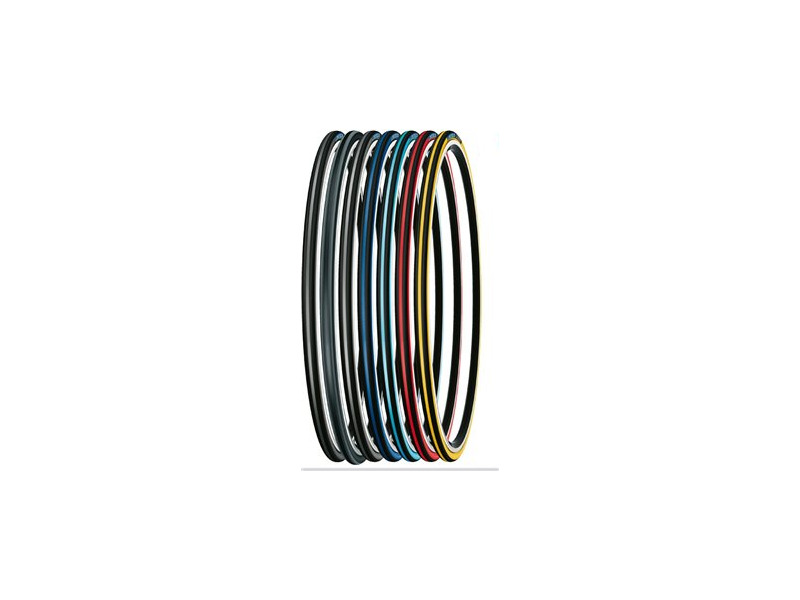 They're inexpensive, they come in lots of colors. These tires are almost impossible to mount. I dislike having to use tools when mounting or removing tires. I had to use every tool in the book to get these on. I bought 6 of these when I found a good sale. I've always liked Michelins for their easy rolling & soft ride. These things feel like they're filled with concrete instead of air. I've mounted 2 of them & am selling the remaining 4 for whatever I can get for them. I've ridden nothing but Michelins for at least the past 10 years, but I've heard nothing but raves about Gatorskins so I just ordered 6 of them. I wouldn't buy them again nor would I recommend them to a friend. They're next to impossible to mount & ride hard. Possible manufacturing defect. Michelin customer service. 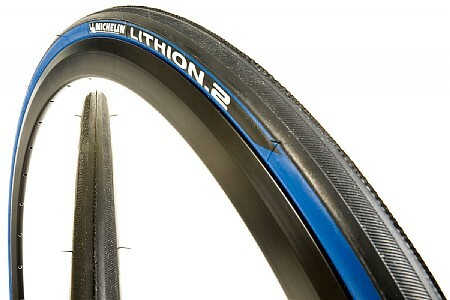 I've bought 3 sets of Lithion 2's without a problem until now. On my wife's rear wheel, there has developed a split between the upper sidewall where it meets the tread that goes all the way around the tire. I contacted Michelin and they stated that they have had no reports of this happening. I asked if this was covered by warranty and they stated that the tire would have to be inspected by an authorized dealer and then the dealer would have to call Michelin with their findings. I sent high resolution pics of the tire to Michelin also. Appears that I'm getting the runaround from Michelin and I'm not impressed with their customer service. If they are willing to lose a customer or two over a $30 tire, then that's just bad business. Hope they find the cause of this defect. These tires just seem to go an then go so more. They are as close to a "bullet proof" tire as I have ever ridden and I have tried them all. 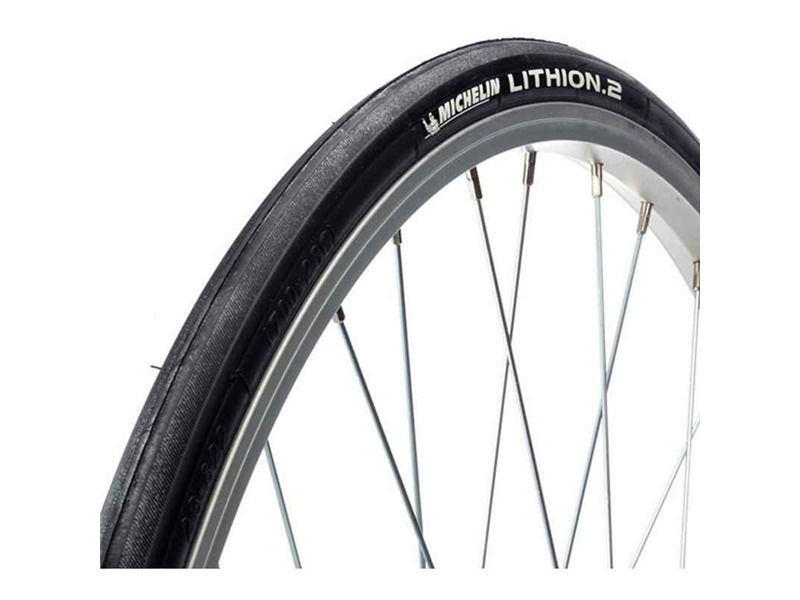 I use to ride the Krylions but after Michelin stopped making them, I really believe this tire is better and they can purchased for less than $30, often. If you are looking for a relatively light, inexpensive and durable everyday tire that holds up to most typical roadside debris, then Lithion 2 is your tire. I just chorded the second one of these, both tires lasted about 2000-2500 miles. I bought 6 of them 2 years ago when PBK had a ridiculous sale in order to stop my pocketbook from hemorrhaging money from busted Conti 4000 and Michelin Pro3 tires. I really can't tell a difference in terms of ride quality, and I'm certainly not any faster or slower. 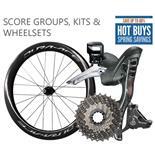 Not for raceday, but for day to day riding these are a great value. In 2011 I purchased a Giant Defy Avanced 2 that came stock with Michelin Pro Optium tires,but I did not like the looks of them so I bought the Michelin Lithion 2. I am glad I did. First off, I was amazed that after 2000 miles,the rear tire is still round with lots of tread life left.In two years of riding with this brand of tire,I have never had a flat,They handle great on dry roads,not sure on wet roads because Heaven forbid I should get my bike wet.The only reason I do not give them 5 stars is because of the harder rubber compound,they are not as compliant.Also,on a hot summer day, you will not be flicking stones off of the tires. 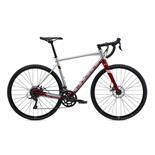 Price, Ride, Handling, Weight, Durability, Colors, Availability! These have been, in my use over 2 years, the ultimate bargain tire. They simply do it all and at a very low price. I've gotten them for as little as $17. I actually prefer them to my previous favorite, the Michelin Pro2. 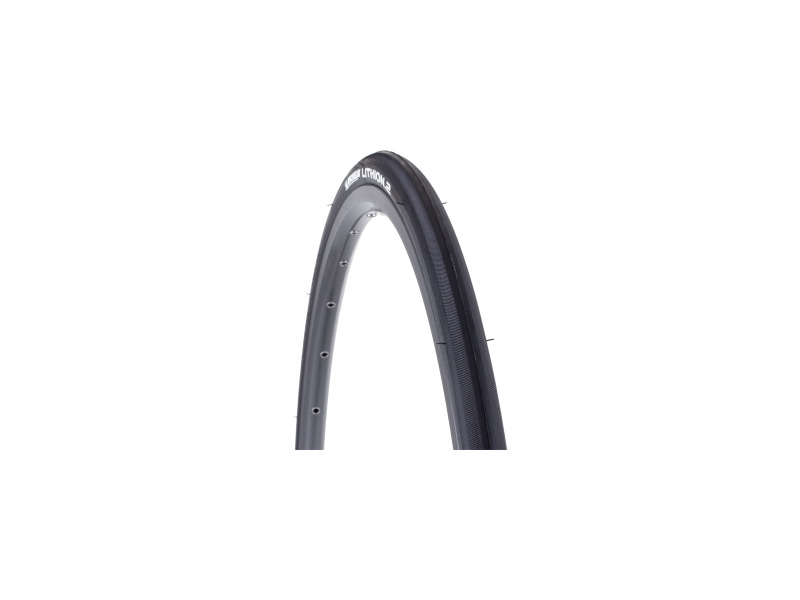 They have all the suppleness of any high-end tire, due to their very thin and flexible sidewall. Nonetheless, I've had VERY few punctures (on New Haven's glass and pothole-strew streets), and no issues with sidewall vulnerability. 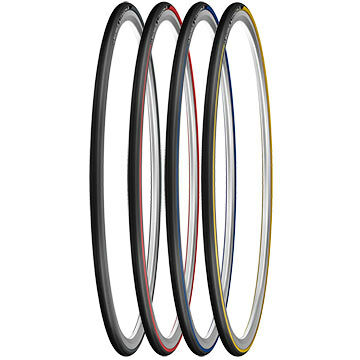 It is the lightest decent road tire, excellent for racing as well as training. When I first got these tires, I was afraid they were going to ride rough, because the rubber feels quite hard. Well, I like the way these tires ride better than conti 4000S's. They also last alot longer than Michelin Pro 2's. 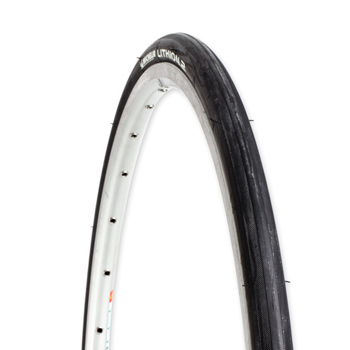 I rarely flat, so most tires seem puncture resistant to me. I push them pretty hard in corners every day, and they feel very nice to me. They're pretty well a perfect tire for me. 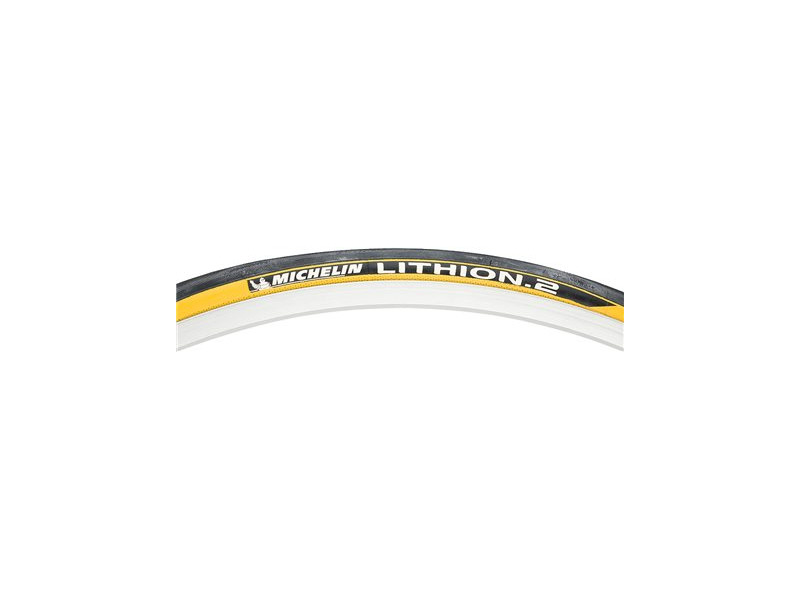 The original lithion tyres had a real problem with tearing. Michelin have solved this problem by using a slightly harder compound but at the cost of grip. The tyre still performs reasonably well but not as grippy as the originals. I haven't used these in the wet yet so I can't comment on that. They have a slightly higher pressure rating than the old ones (115 psi instead of 100 psi) which is good for rolling resistance. All in all it's a reasonable training tyre.